Oats are among the best foods to lower cholesterol. Learn how they can help your heart health. Oats are a real health food. They are full of protein, nutritious fiber, antioxidants like vitamin E, and plant sterols. One of my favorite breakfast options is a bowl of oatmeal. There are lots of ways to mix it up when it comes to oatmeal, and my latest favorite, just in time for fall, is oatmeal with bite-sized pieces of apple cooked in, topped with some chopped walnuts. It is one of the best foods to lower cholesterol. I love oats in all forms: whether they’re made into oatmeal, granola, energy bars, or muffins. It makes me very happy, therefore, to know that oats are a real health food. They are full of protein, nutritious fiber, antioxidants like vitamin E, and plant sterols. [1,2] And they can help you to keep your cholesterol in the healthy range, too. 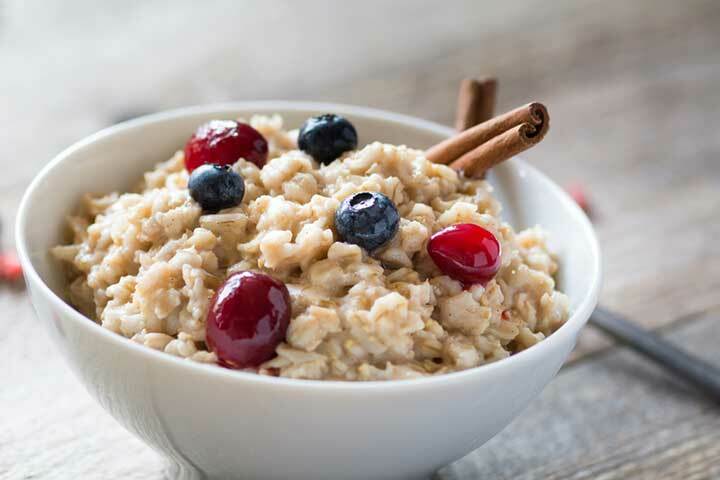 How Does Oatmeal Lower Cholesterol? Beta-glucan is a specific kind of fiber found in oats. It has many health benefits in the body, which include controlling blood sugar and managing cholesterol. And it is probably largely responsible for making oats one of the best foods to lower cholesterol. For example, one meta-analysis of several studies found that at doses of more than 3 g per day, oat beta-glucan can decrease LDL cholesterol by 0.25 mmol/L and total cholesterol by 0.3 mmol/L. One systematic review found that oat consumption can lead to 3 percent to 6 percent reductions in total cholesterol and 4 percent to 8 percent reductions in LDL-cholesterol. 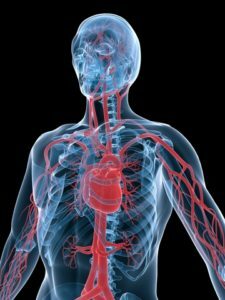 The researchers estimate that these reductions translate into a 6 percent to 18 percent lower risk for cardiovascular disease. Oats are also extremely versatile and easy to add into your diet. Oatmeal is a healthy breakfast option, granola (without lots of added sugars) can be a good midday snack, and oat muffins or bars are fun, nutritious treats to bake at home. Other great foods for controlling cholesterol include cruciferous vegetables and spirulina. Read more about other cholesterol reducing foods like nuts, olive oil, and soy protein here. Food is a powerful tool for managing cholesterol, but sometimes it’s not enough. If you need more to get your cholesterol under control—without drugs—turn to our comprehensive natural cholesterol treatment plan and look for best foods to lower cholesterol in our post Natural Cholesterol Control: Achieve Healthy Cholesterol Levels Without Drugs. Do you eat oats? Do you find that they are easy to incorporate into a healthy diet? What health benefits do you notice from eating oats? Do you find them as one of the best foods to lower cholesterol? Have you ever noticed an oatmeal, cholesterol connection? Share your experience in the comments section below. Lipids Health Dis. 2014 Dec 5;13:182. J Food Sci Technol. 2015 Feb;52(2):662-75. Br J Nutr. 2014 Oct;112 Suppl 2:S4-S13. Am J Clin Nutr. 2014 Dec;100(6):1413-21. Br J Nutr. 2014 Oct;112 Suppl 2:S19-30. Br J Nutr. 2014 Oct;112 Suppl 2:S31-43. add, anti inflammatory, antioxidant, antioxidants, blood pressure, blood sugar, breakfast, cardiovascular, cardiovascular disease, cholesterol, cholesterol control, cholesterol levels, cholesterol lowering, controlling blood sugar, cruciferous vegetables, diabetes, diet, digestion, fiber, food, health, health food, healthy breakfast, healthy cholesterol levels, healthy diet, healthy digestion, high cholesterol, ldl, ldl cholesterol, lower blood pressure, lower cholesterol, lower your cholesterol, natural cholesterol, natural cholesterol control, nuts, plant sterols, protein, soy, sugar, to lower blood pressure, to lower cholesterol, total cholesterol, vegetables, vitamin, vitamin e, walnuts, without drugs.